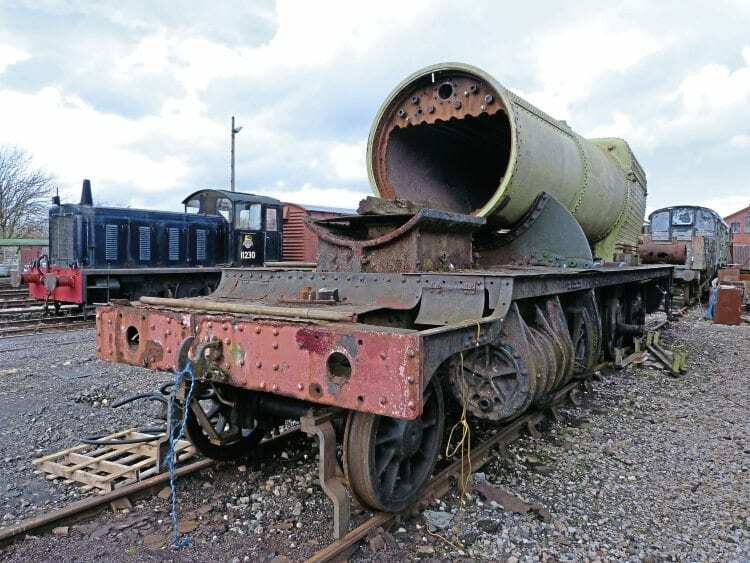 NOVEMBER marked the 100th anniversary since the completion of unrestored GWR ‘28XX’ 2-8-0 No. 2874 at Swindon. To mark the anniversary – and also the centenary of the end of the First World War – the 2874 Trust has dedicated the heavy freight loco to the GWR employees who lost their lives during the two world wars. Two specially cast oval brass plaques will be carried on the cabsides of the locomotive once its restoration has been completed at the Gloucestershire Warwickshire Railway. The inscription reads: 1914-1918, Dedicated to the Men & Women of the Great Western Railway who gave their lives in defence of our Country during the two World Wars, 1939-1945. No. 2874 was built at the end of the First World War, but still played an active role during the second conflict, hauling coal trains while allocated to the likes of Reading and Banbury. The centenaries of its construction and the Armistice therefore provided the perfect platform to commemorate the GWR’s fallen workers.